SAVANNAH, GA (WTOC) - It's day 33 of the partial government shutdown. The partial government shutdown has caused around 800,000 federal employees to go without pay, but half of those employees are still having to report to work. 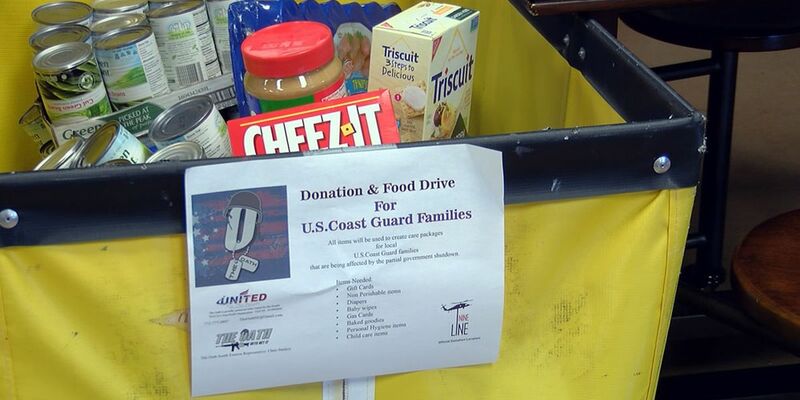 Groups across the WTOC Viewing Area are partnering together to try and help these federal workers, like local members of the U.S. Coast Guard. In Savannah, there are around 175 Coast Guard members impacted by the shutdown. These drop off locations can be found in Savannah and surrounding areas, including Richmond Hill, Statesboro, Swainsboro, and Pooler. The businesses will continue to help the Coast Guard until the shutdown is over.